Punishment is anything that reduces the frequency of unwanted behaviours. In theory, punishment should suppress inappropriate behaviours totally, but this is rarely the actual result. Parents must remember that punishment, particularly corporal punishment, is distinct from discipline. Disciplining children is almost always preferable to simply punishing children as children are still learning and growing and deserve to be taught how to do better and be better. Corporal punishment is the infliction of physical pain on someone convicted of wrongdoing. 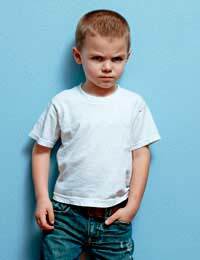 Most parents who use corporal punishment do so in the form of smacking or spanking a child. Some parents also slap their children’s arms, hands or legs. Very rarely do parents choose to use corporal punishment in any other form, and today there is only a very thin line between what is accepted as corporal punishment and what is considered child abuse. For example, in the past some children were punished with belts or straps. Today these actions are entirely inappropriate and rightly condemned. Parents who do engage in corporal punishment believe that they are teaching their children an almost Pavlovian response – that misbehaviour brings pain and should be avoided. Parents who do not use corporal punishment argue that it does nothing to teach self-discipline or responsibility but that it does convey the message that harming or hurting others is acceptable. Several academic studies have also found a link between corporal punishment and childhood aggression and antisocial behaviour. Whether corporal or not, punishment simply teaches children that if they break rules they will suffer negative consequences. Punishment does not necessarily teach children why the rules are in place, why the rules are important or how they can act in accordance of the rules. Punishment also does not teach children to be responsible or to take into account the thoughts, needs or experiences of others. Discipline, on the other hand, always carries a lesson which helps children to understand what appropriate behaviours are and why they have become accepted in our society. Disciplining children is really a means of teaching children how to better themselves. Unfortunately, punishment is only effective at deterring inappropriate behaviours in so far as it provokes fear in children. Children come to fear for their possessions (that they may be taken away), privileges (that they may be revoked), preferences (that they may be used against them) and even safety and well being (if they are routinely caused pain or harm in the name of punishment). Children do not necessarily come to understand why their behaviour was wrong, or how their behaviour negatively impacted others. In contrast, the effects of discipline on children are often an increased sense of responsibility, self-confidence and the ability to distinguish appropriate from inappropriate behaviours. Punishment, or the deliberate infliction of unpleasantness on someone judged to have done wrong, may be very tempting to some parents. In the heat of the moment it is very easy to fall into the trap of making a child feel bad in response to their own bad behaviour. However, punishment does not teach a child anything other than that it is alright to hurt others. Instead, parents should strive to discipline their children in order to help them better themselves and their situations. Properly disciplined children will grow to be happy, healthy and productive members of not just the family, but society as well. Punishment is nevera way of teaching. It can disturbteachingprocess.Only motivation is good effort below the age of 9 years. Thanks for the nice lesson I wish to have more lessons like this from you. I didn't realize the difference until I read this, I now understand that it is very important to teach the child a lesson instead of just correcting the behavior but teach them why that behavior is not acceptable. What acceptable behavior is and how their actions effects others. I am going to change my whole approach to teaching the children. l think the effects of punishment should be reviewed.